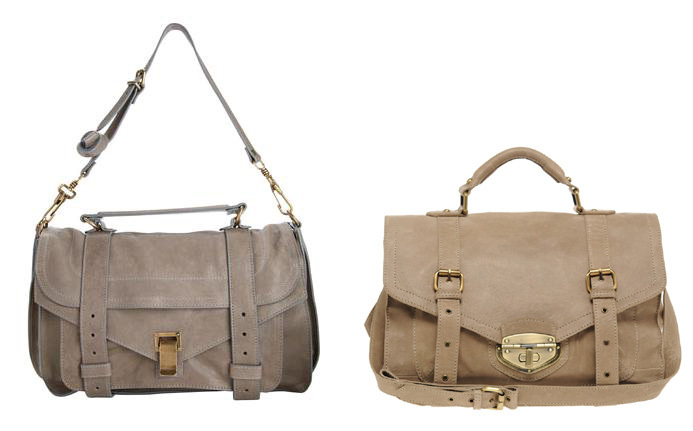 On the left we have the Proenza Schouler PS1 (my dream bag) and on the right is the ASOS alternative. It looks great and at £70 is A LOT cheaper. You can buy the ASOS one HERE! So interesting because I am just looking at asos at this bag and then I find it here on Your blog ;) The bag is so gorge!! Knowing me, Id get the Asos one hehe. But in a dream world, Proenza for sure!